We are SO happy to share this with our fellow members! This commercial is something that has been discussed for years on this site but up until recently we weren't able to obtain a copy. Thanks to the generosity of one of our readers we are now able to present this Spotlight to all of you! We can't thank him enough. It is a WONDERFUL commercial. Well worth the wait! Song is stuck in my head now thanks, JK i love this, i have never seen a commercial before six flags slapped there name on GA. Now we need one from "74!! 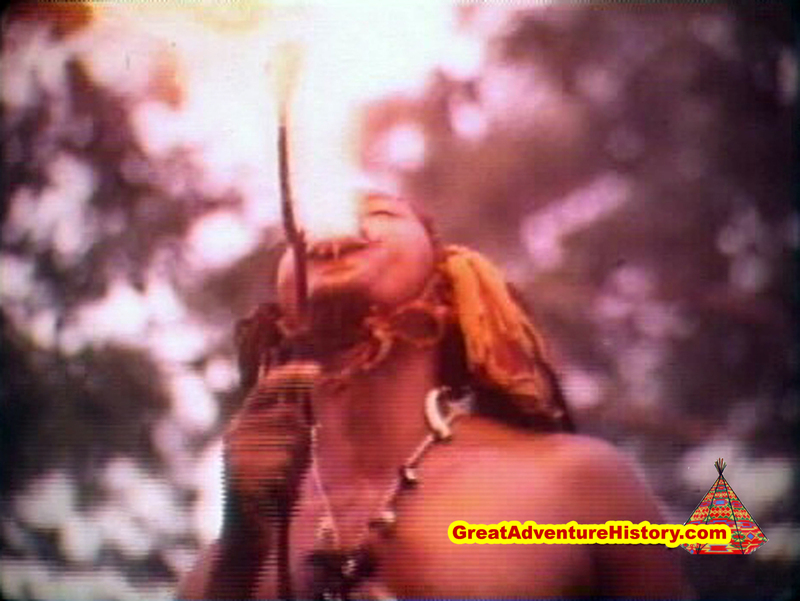 Classic Great Adventure commercials! This is a great addition to the website. It didn't hit me until I watched this for the 50,000th time as to why this commercial has such a special meaning. 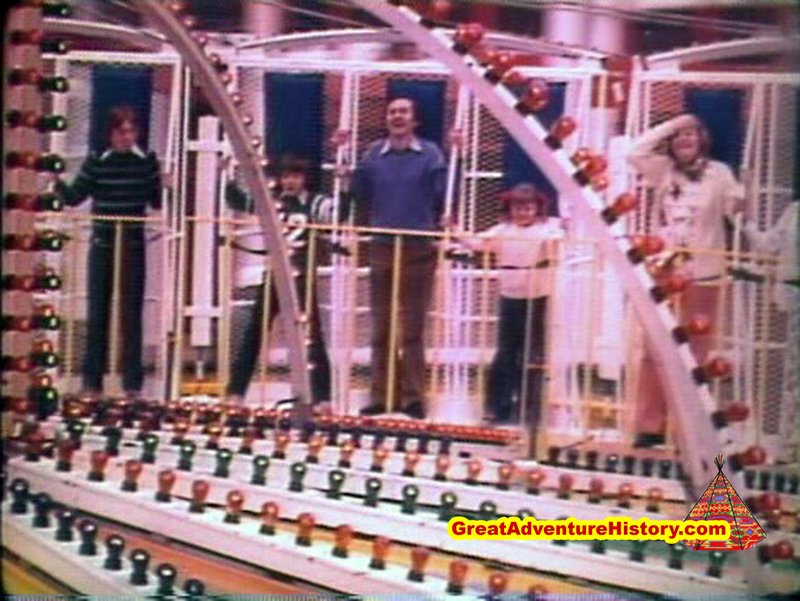 No doubt it is classic Great Adventure with vintage footage of some long gone attractions. That in itself is meaningful. But this ninety second movie captures everything we have done and have been striving to do at GreatAdventureHistory.com. Sure, we routinely make Spotlight and have features on this site - we love to make them and from the feedback we get, people like to see them. But it really is the people, our members, contributors, and readers that have made this into something great. I've used the word "community" on GAH repeatedly- but that is really what we are. Just look at the commercial. We have members here that relate to almost every aspect from the scenes included in the advertisement. We obviously have past park guests here. 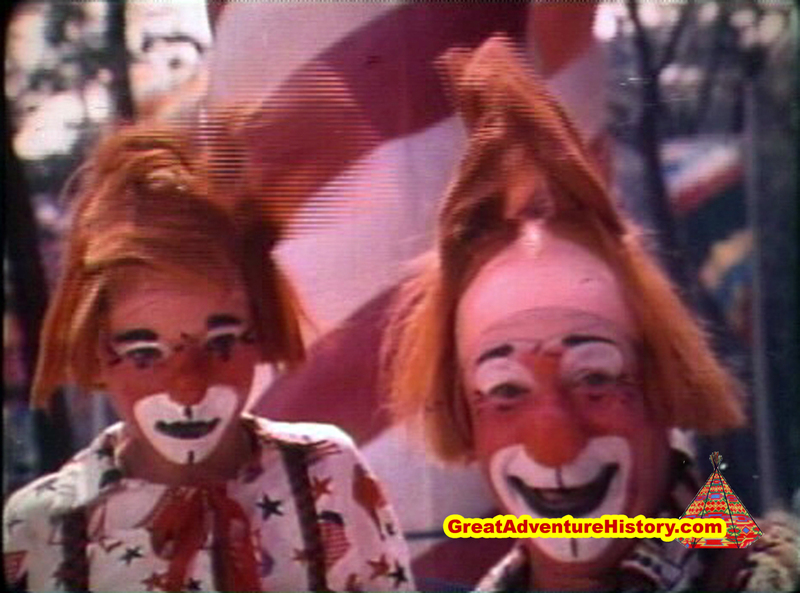 We have former clowns and street entertainers. We have the pilot from the hot air balloon. We have former ride operators including the prominently featured Log Flume. We have members who were part of the Aqua Stadium and Great Arena shows. We have Safari employees that not only worked at the park when the commercial was filmed but also prior to the park opening. We have management, designers, and craftsman. 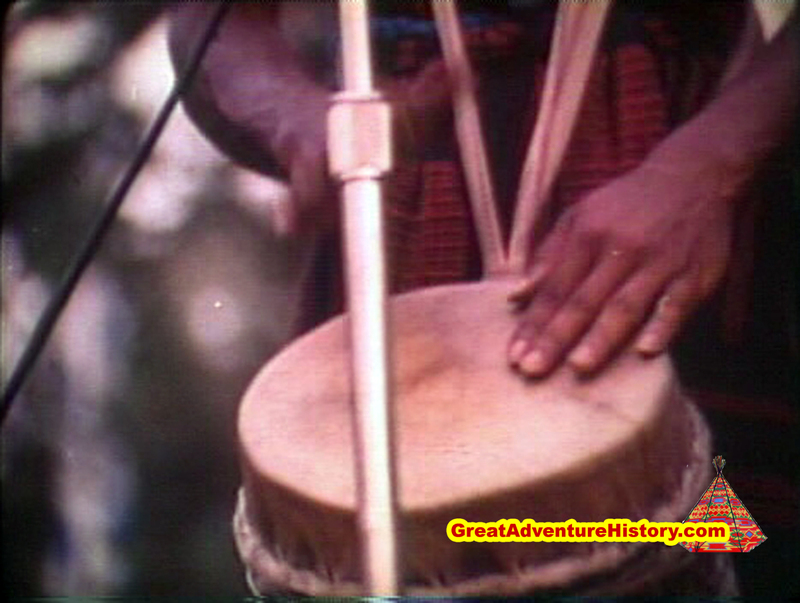 And, we even have a member who was part of the band Maiden Voyage that performs at the end of the ad. From start to finish, we have this commercial covered! And the best part is we have so much more. Take this commercial and slide it to any decade in the park's history, including today, and we still have things covered. It is our mix of members that makes things so interesting, educational, and entertaining. It's people both behind the counters and in front of them - strapping us in and those being strapped in - making us laugh and those laughing. From opening day in 1974, to a visit we made today, to one we want to plan for tomorrow- from folks who live down the road from the park, to those halfway around the world, hats off to everyone! And thanks for helping us make GreatAdventureHistory what it has been able to become over the past five years. May the next five be just as much fun! Fantastic! I remember this ad well. Brings back a lot of memories. yes it did set lofty expectations. But they were meet and surpassed. 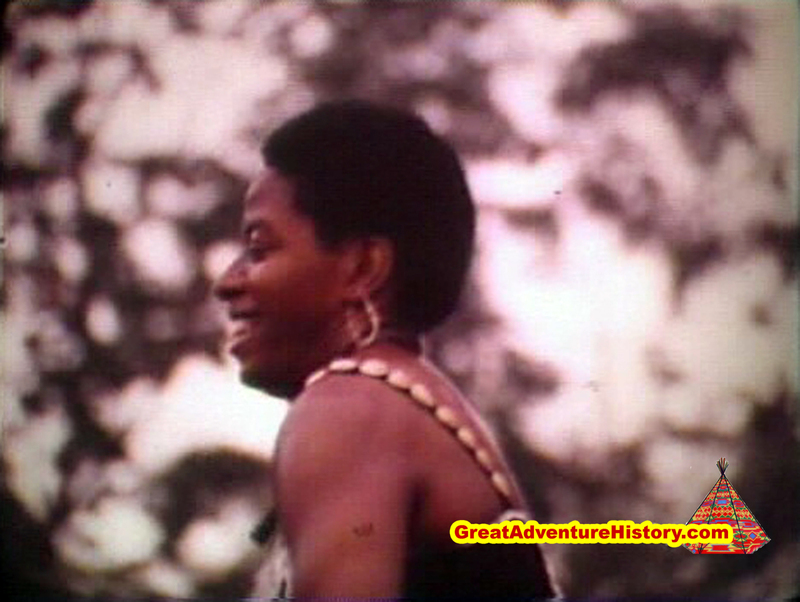 As for the 1974 commerical it was a simpler one. Only showing close up quick clips of the park. 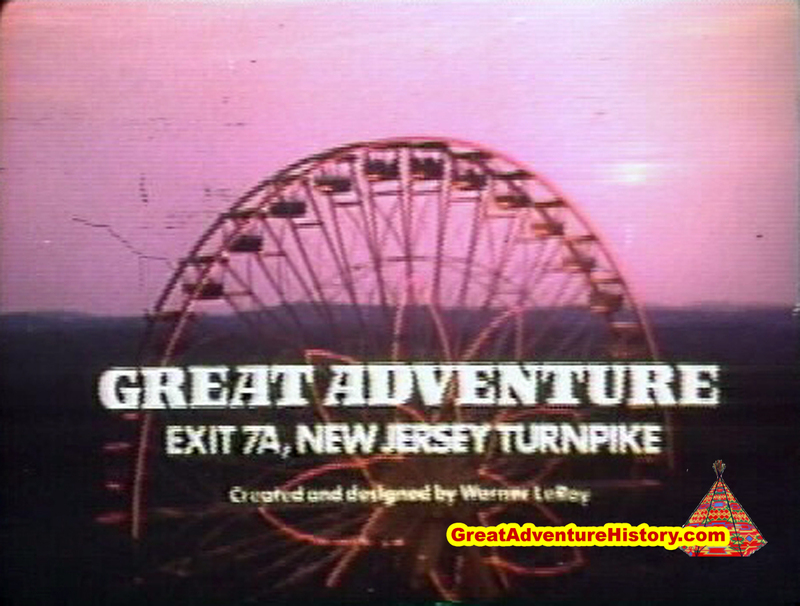 and the voice over ending "Great Adventure exit 7-A Jackson, New Jersey". And then as the fall approched it was reshot with all the oak trees in with the leafs turning and a voice over "Great Adventure even more spectaculer in the fall" The park was also used in a Aqua Net hair spray commerical. "With a Mom chasing her children around the park say "It holds up even you dont". And a print Ad for a high end fashion Magiziene. I remember this as a shorter commercial that ran in the afternoons on channel 5 from New York during cartoons. They shortened it to the last verse "Open you eyes cause the greatest day in your life is here..."
Retro commercials are always cool-especially ones involving amusement parks! 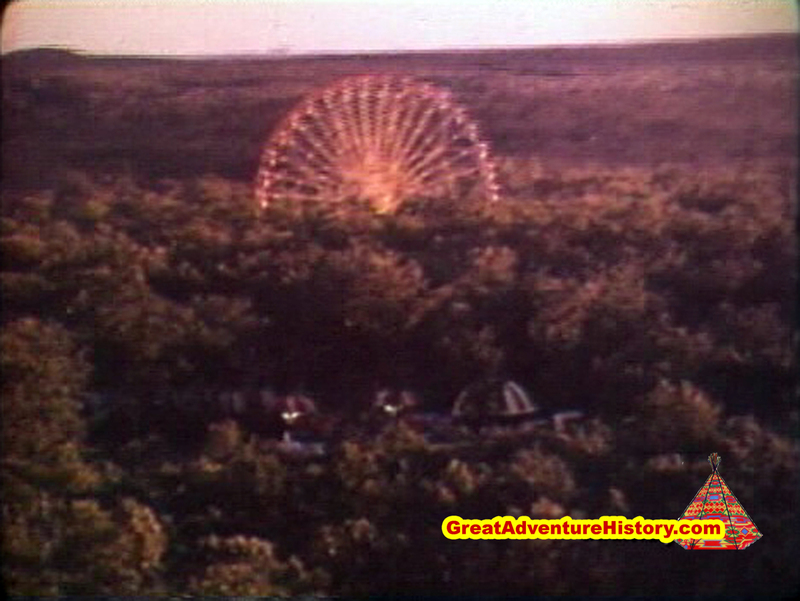 !By the way-at the end of the commercial,you can see that the cabins of the Ferris Wheel have some sort of light display on the underside of the roof.What ever happened to that? Guests stole the bulbs constantly. The same thing used to happen on Schwabinchen. Why to use at home or just to be jerks? I think just to be jerks. That and for "privacy" on the Big Wheel for adult activities. Remember this like it was just yesterday. If you look at the first photo of the Big Wheel, it looks like the Kiddie Rides are practically in front of it when they were in fact off to the right side when walking down Dream Street toward the Big Wheel. Is the photo a bit warped and where was it taken from? This stuff is awesome!! The opening shot was taken from a helipcopter from around the current site of the Parachutes. That angle makes it look like the wheel is to the right of Ridearama. Did anyone catch in the last scene how the lights on the Giant Wheel use to change patterns? Yea id did and i remember it sitting on the lifts of the log flume..Watiching it go from the inner circle and outter cicrle of white to the peddles around the logo.. to the peddles half way to the third the the forth and the white lights running down the supports...Actualy they came with the wheel from the Tulip Festivel in Holland, Were it represented a tulip in bloom. Nice memories, Flume. 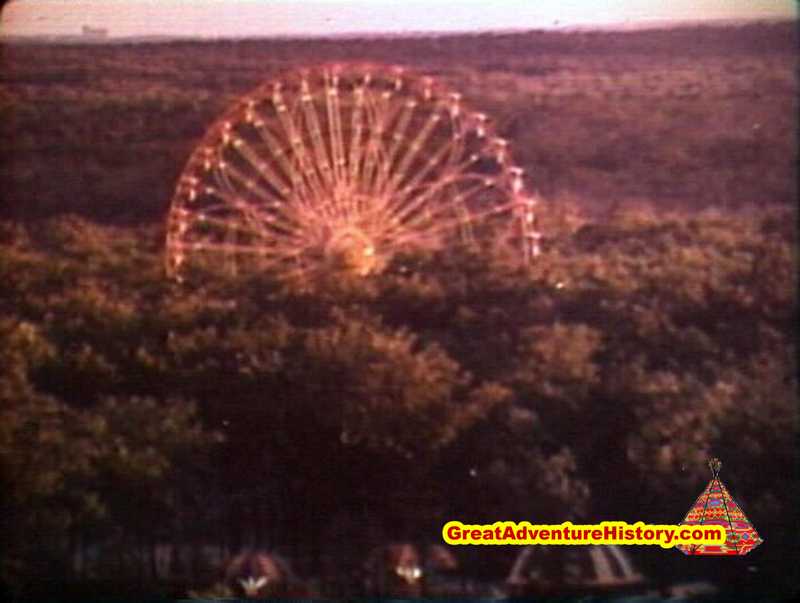 I still remember seeing that on top of the flume and going on the sky ride heading north. I can't believe somebody finally found this! I've been singing that thing to myself for 35 years. It's sucha great commercial, a catchy song, lots of shots of the park, and families having fun together. That's a theme park commercial! I often wonder why the Runaway Train was omitted from so much of the earliest advertising. It was a major steel coaster when it debuted and one of the larger ones for the area at the time. To this day it is still one of taller mine trains with its elevated helix. You're right, and the Skyride isn't in it either. 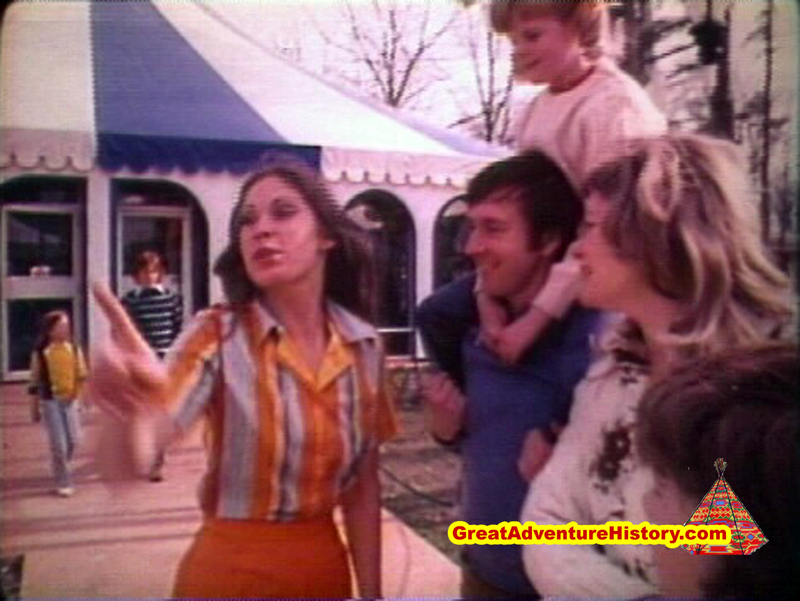 It looks like they did a couple of days of shooting for this with at least one in summer of 74 (with all the green trees) and then early spring 75 (with all the close-up "family" shots). I wonder if RMT/Skyride were closed for modifications in spring of 75 when they filmed. We know the extra Skyride tower in front of the Fort was added at some point after the park opened, and they did some re-profiling on RMT at least once. 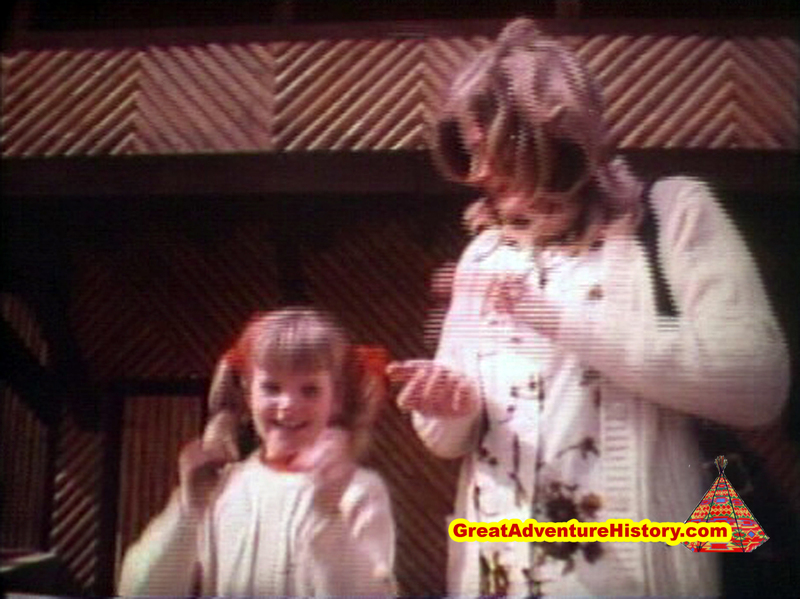 That would explain the lack of on-ride shots with the family, but they could have used offride footage from 74. Instead we only have them walking down the exit stairs of the RMT station. And notice the starburst pattern of lights on the inside of the roofs of each gondola... Nice touch... Don't remember if those were put back in during the LED overhaul a couple years back...?!? Anyone know? Did anyone also notice the hostess is not wearing a name tag? One thing in this commercial is unfamiliar to me - the tribal dance sequence. It is hard to tell where the show is being performed. By the way it is presented, it almost seems as if the show was taking place on the site of the Super Teepee. 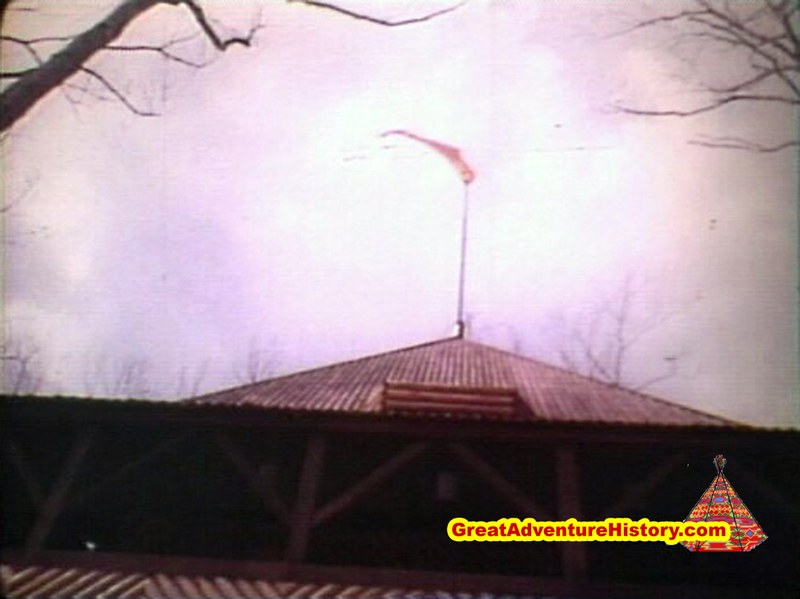 Prior to the park opening in 1975 the Super Teepee was ripped apart by high winds leaving only the logs. For several months it was used as an open air stage before being reskinned and reopening as a store. Anyone remember the show pictured below? If Lowes can promote working around the house and yard as the "best day of my life," there is no reason why Great Adventure's "greatest day in your life" campaign shouldn't have lived up to people's expectations. Weren't the additions of SFGL and SFNO introduced with the same footage but played a modern version of Greatest Day of Your Life? ...or at least it sounds like that. ^No. They are completely different.